An English Homestead: Busy Time Of Year (Kids)! Busy Time Of Year (Kids)! I'm pretty much a full time taxi in my life these days, just running children around! Don't get me wrong, I love it but everyday seems quite full especially with my eldest going to school now, there's always something to remember, a non uniform day, a pyjama party, a wool jumper day, cake sale - you get the idea! The plus side is you can't help to feel Christmassy even if you're a humbug like me. In the last week or so I've watched my eldest in her nativity play (so lovely), been to the Christmas fair at school (my Chelsea buns went down well! 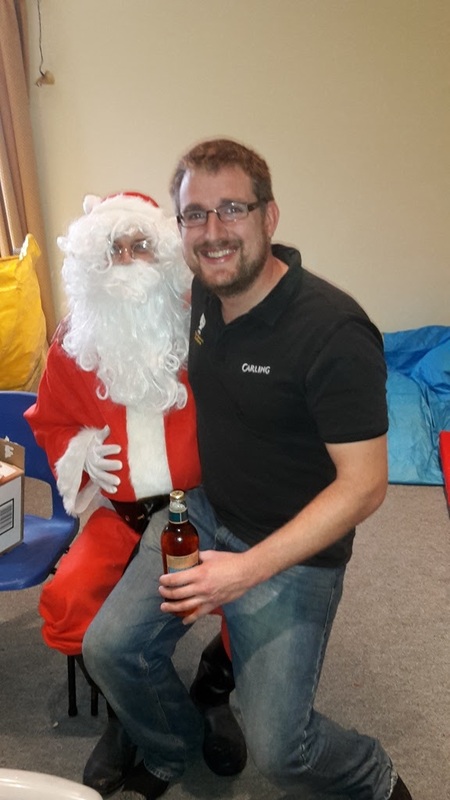 ), had friends round for lunch, been to a playgroup party and sat on Santa's knee (think I nearly crushed him) and coming up I've got my younger daughters play on Friday as well as the girls having parties to attend to on different days! I'm useless at remembering things but having three kids in different places is certainly keeping me on my toes! I've also got some seriously tired children to deal with each night! Role on the end of term! such a fun time of year and you are making so many wonderful memories for your kids...are you getting skinny? My niece has been staying with me over the school holidays. I have spent more time in the car and out and about with her than I have in months. We are enjoying some quite time together as well, which is really nice. Mine are all grown up now, but I remember it well. Great times! It all goes so fast, enjoy it, every moment. It's tiring, but oh, so worth it!!! Was Santa passing out drinks? Sounds like my kind of Christmas party!